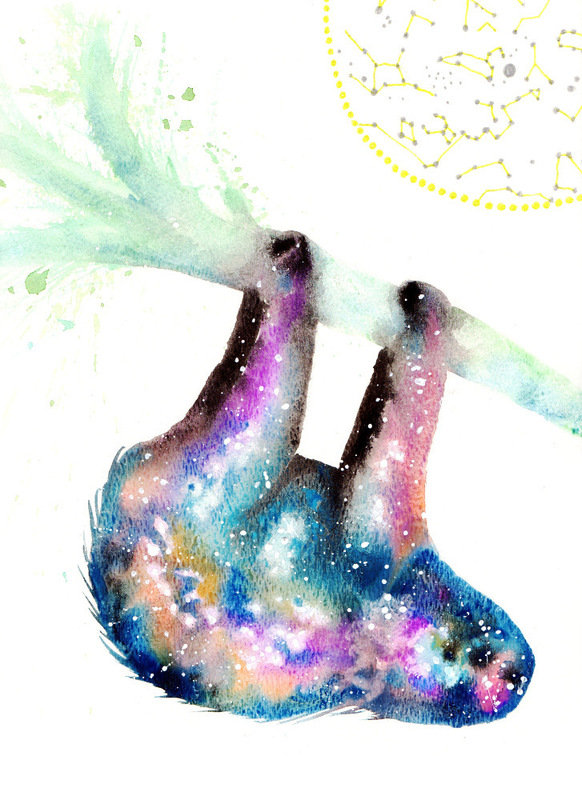 Sloth symbolizes relaxation, conservation, groundedness, and patience. Sloth offers a unique perspective on life. It spends its time hanging upside-down in the trees and has the ability to rotate its head as far as owls. It gathers its wisdom and values from the Trees and Mother Earth. It offers you lessons on the benefits of being rooted, present, and environmentally conscious. Sloth is a master at conservation. Only using the appropriate amount of energy for any given action, thought, or feeling. Sloth only consumes what it needs to survive and produces waste on a conscious timeline. Sloth also prefers to blend into nature rather than stand apart from it. Sloth shows you that it’s an option to be content living in your own truth (and the truth of nature) rather than defend yourself or debate views with others. 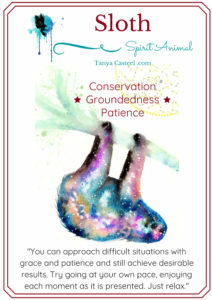 You can approach difficult situations with grace and patience and still achieve desirable results. Try going at your own pace; enjoying each moment as it is presented. Just relax. I want to hear about your Sloth experiences. What stories or dreams have you had? Please share and join in the conversation below!